That's a monk in the middle - although, by his expression, I'm guessing he'd rather be somewhere else. Alternatively, a small boy has caught his eye. 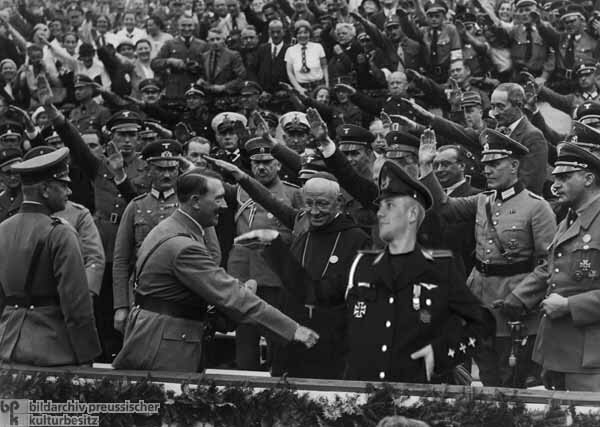 Yeah - they loved teh Hitler! I'd buy one, therefore have clicked!